If all of the many theme parks and attractions make Central Florida a thrill-seeker’s paradise, then the retail experiences and outlets make it a paradise for shoppers, too. From exclusive souvenirs you can only find here to discounted designer duds at world-famous outlets, you might need to pack an extra bag or two for your trip home. It will certainly be easy enough to find a new duffel, suitcase or backpack for the job, if you need one. Located near the Shades of Green Attraction Ticket Sales Office, the AAFES Exchange is a one-stop-shop for all kinds of things. From tax-free souvenirs, sundries, snacks, toothpaste or extra diapers, it has anything a vacationer might need. Also, you can stock up on themed merchandise at a fraction of what you’ll find somewhere else. Princess dresses, hats, shirts, magnets, autograph books, and even Sharpie markers are all in store. It’s likly to rain at some point, you can get ponchos for the whole family to stay dry while you enjoy the parks. They’ve thought of everything. 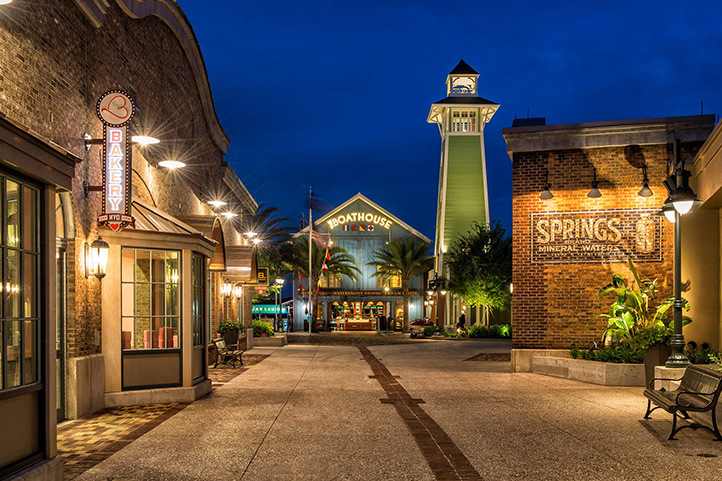 The mother of all Walt Disney World shopping destinations is Disney Springs. 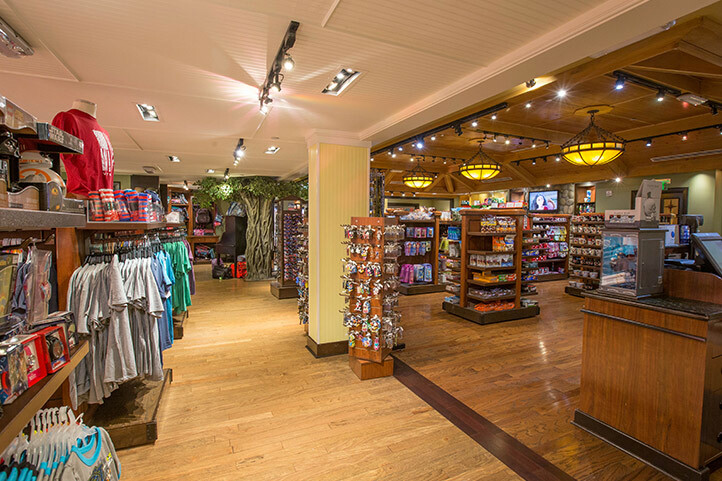 A lively assortment of more than 50 retail stores, kiosks and one-of-a-kind boutiques, Disney Springs also has entertainment and fun for the whole family. Shades of Green has free shuttle service to and from Disney Springs, making it easy to get there and experience all the shopping action. When you’re visiting a Walt Disney World theme park and find souvenirs to bring home, you don't necessarily want to carry them around with you all day. The good news is: You don’t have to. 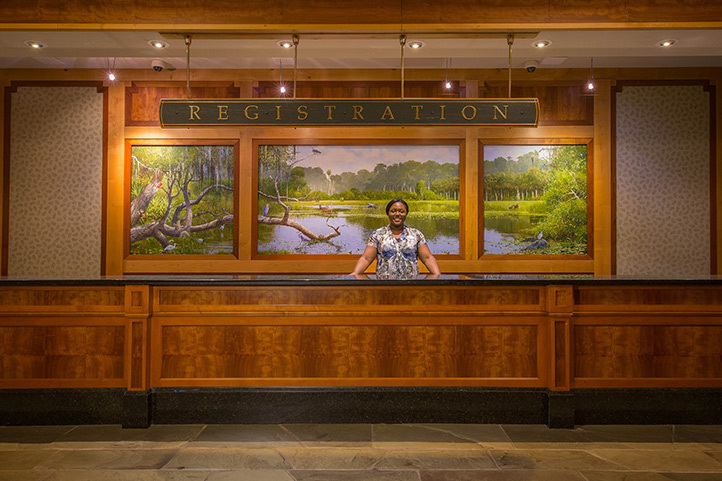 Because we participate in Resort Hotel Delivery, you can arrange to have Walt Disney World purchases delivered to meet you at Shades of Green. Just tell the clerk at the time you make your purchase, and he or she can help you make the arrangements. We’ll let you know when you have a delivery ready to pick up at the front desk. It can take about a day, so be aware when you plan. 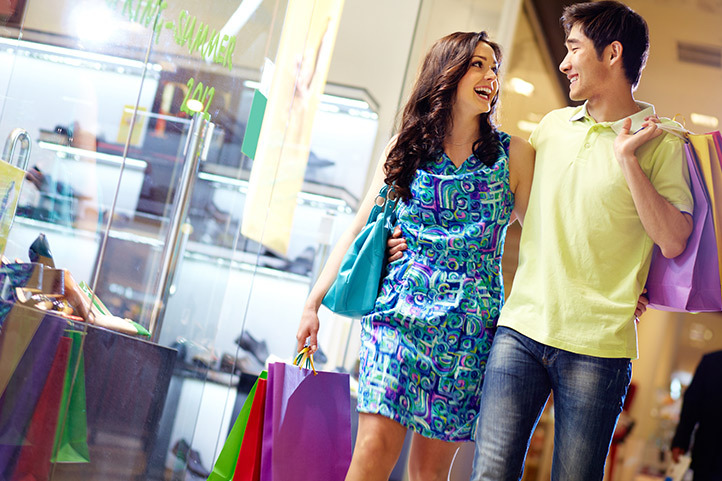 Shades of Green is close to three different outlet shopping centers, which should make bargain-hunters extremely happy. You’re bound to find good deals and a surprisingly wide selection of designer and brand name clothes, shoes, accessories and more. Orlando International Premium Outlets and Orlando Outlet Marketplace are close to each other and also near Orlando International Airport, making for a perfect stop on your way home. Orlando Vineland Premium Outlets are closer to Shades of Green, making a nice diversion or extra day trip during your stay.